This week I had the opportunity to review Nightly News with Safa by Helal Musleh. For those who are unfamiliar with Sister Helal, she is an Ontario certified teacher with a passion for education. She shares a wealth of knowledge and resources for teaching on her website My Everyday Classroom. 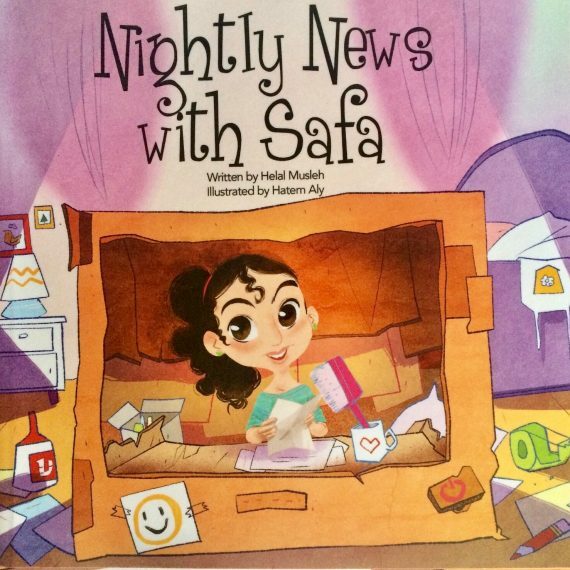 Nightly News with Safa is a lovely story about a proactive, young girl with an optimistic outlook on life. Her mother, on the other hand, is consumed and visibly affected by the constant negativity broadcasted by the media. Safa is determined to capture her mother's attention. With a little creativity, on Safa's part, she succeeds at delivering some positive news and cheering her mother up. There is a great lesson to be had in positive thinking and the pursuit of change through good intentions and action. We must make the most of every situation, and find the silver lining. We must incite change for that which does not sit well with us. And if we are unable to alter our circumstances, we must alter our attitude, perception, and reaction to it. Although my Laylah is not yet old enough to comprehend the moral of this story, she was certainly captivated by the expressive characters on each brightly colored page. This is a delightful story I would like to read to her again in a few years inshaAllah. Another point worth mentioning is Nightly News with Safa comes with a complimentary book study pack, which I absolutely love! The pack contains several activities related to reading comprehension, advertising, writing news articles, and even character development. 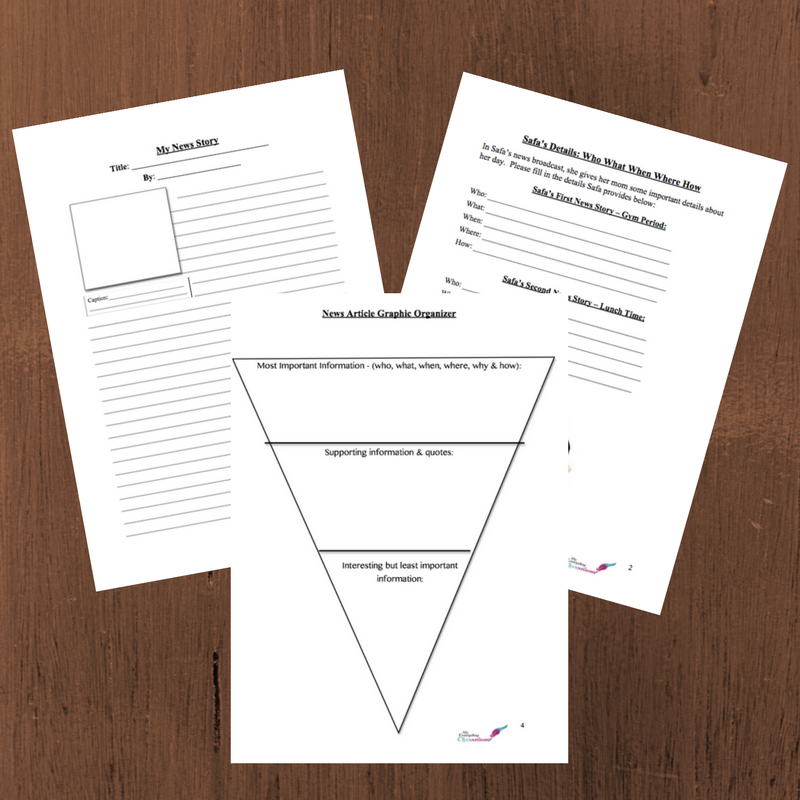 The worksheets are great printables to use in your homeschool to extend the application of the story's principles. Overall, I enjoyed reading Nightly News with Safa and recommend it for your bookshelf! Disclosure: I was provided with a free PDF copy in return for my honest review. All thoughts and opinions expressed herein are my own. I only recommend products or services I use personally and believe will be good for my readers.